There are still vibrant and diverse tastes in store for you in Downtown Woodstock if you stick to a plant-based diet or are gluten free. Most of the trucks at T&T will gladly modify a dish to make it vegan friendly. Dominic’s Wood Fired Pizza holds the cheese for vegans and even offers a gluten free crust (not safe for celiacs). 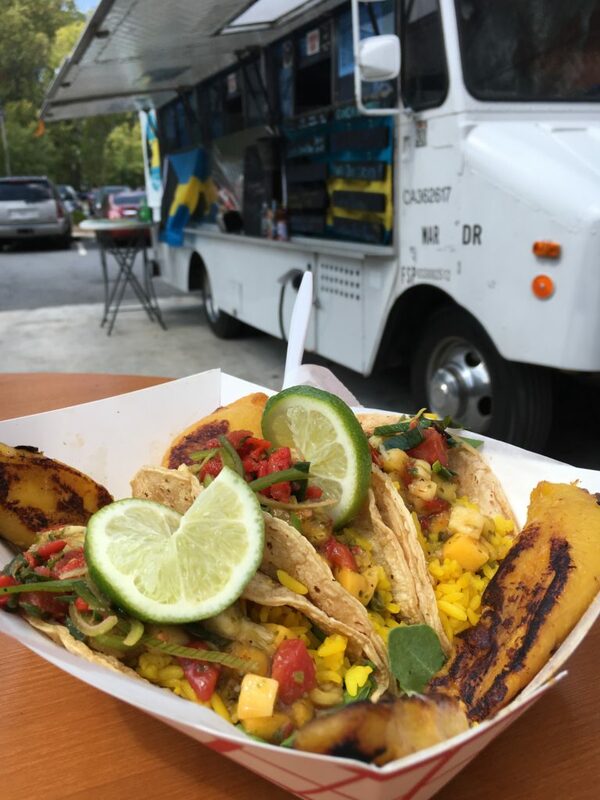 Island Chef Cafe offers hungry vegans veggie tacos with yellow rice and plantains. Canyon’s offers a fresh portabella cap marinated over night on a wheat bun – just be sure to hold the cheese. Tip: Ask for lettuce, tomato and other toppings to be added as this is normally just served with Provolone. The black bean burger is also very good. 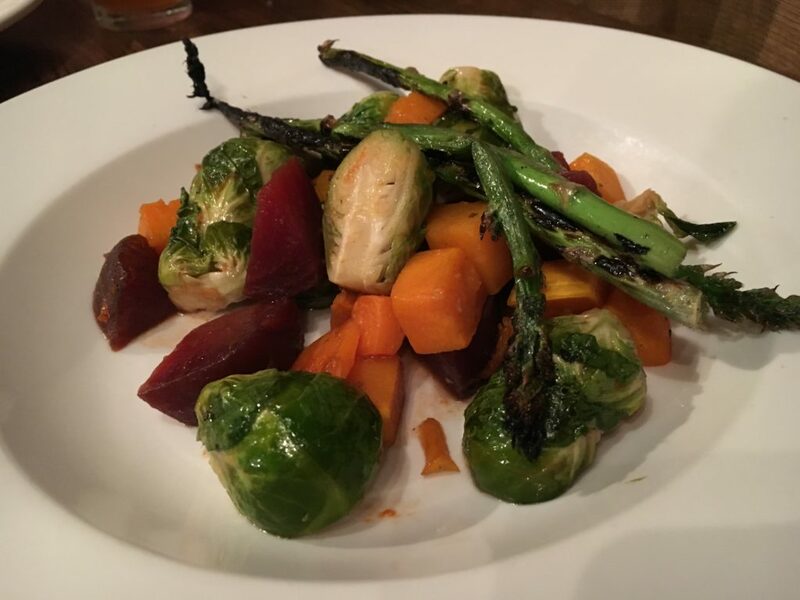 Freight Kitchen & Tap’s Autumn Harvest is served year round and boasts roasted beets, seared brussels sprouts, asparagus, red quinoa, butternut squash, and broccolini. Another great vegan dish is the Roasted Poblano & Black Bean Soup. At Pure Taqueria, the Cazuela is a bowl with black beans, sauteed peppers, onions, zucchini, mushrooms, pico de gallo, avocado, and charred tomatillo salsa. Just ask to hold the chorizo rice and cilantro-lime yogurt! They’re not on the menu, but Pure makes great veggie tacos on soft corn tortillas. Just ask your server and be sure to hold the cheese. The best option for vegan diners at Ipp’s is the Cellentini Torino – just substitute mushrooms for chicken. The dish has walnuts, broccoli, artichoke hearts and sun-dried tomatoes tossed with cellentani pasta, garlic and olive oil. Ipp’s has great gluten free pasta upon request and the personal size gluten free pizza crust is delicious. Get updates about upcoming events, things to do, and places to visit in Woodstock, Georgia. Subscribe Today!